Another Telltale season is about to draw to a close. Telltale has released a trailer and screenshots, and announced the release date for Minecraft: Story Mode - Season 2's finale, called "Above and Beyond." If you’ve been patiently waiting for the next episode of Minecraft: Story Mode - Season Two to release, you’re not alone. Mojang and Telltale Games have officially released a new trailer and a release date for the next episode. It’s been a month since the second episode of Minecraft: Story Mode - Season Two released. Unfortunately, fans will have to stay patient as episode three is finally dated and will release in September. Fans of the series are already familiar with Jesse but can our hero trust the new adventurer Jack? Find out more in episode two of Minecraft: Story Mode - Season Two. Last month, Minecraft: Story Mode - Season Two made its official debut. Fans of Telltale and Minecraft can continue the adventure with Jesse and the gang as the second episode of the season has been announced. Nearly a month ago, Minecraft: Story Mode - Season 2 was officially announced to the world. Today, fans get a sneak peak of what to expect with the new trailer. Minecraft: Story Mode - Season 2 has officially been announced by Telltale Games. With new details released, we have a bit of preview on what to expect next month. 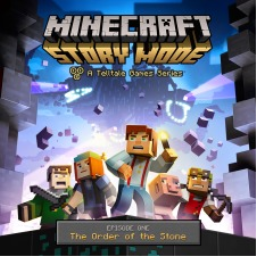 The first Minecraft: Story Mode game with trophies was Minecraft: Story Mode - A Telltale Games Series, which was developed and published by Telltale Games and released on 13 October 2015. 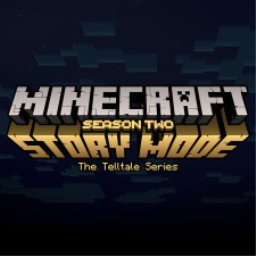 Since then there has been 1 more game in the series with trophies - Minecraft: Story Mode - Season Two which was developed and published by Telltale Games and released on 11 July 2017.